this information in conjunction with other vulnerabilities to execute code in the context of the process. of just one.The added second argument is an array of objects you wish to transfer to the worker. /* Trigger the vulnerability. Note that the 2nd argument isn't a primitive value but an object. This is the code for exploit.js, which implements the exploit logic. Basically, when you click the "Transfer/neuter ArrayBuffer" button, leak_dword(0xffff) is called. The leak_dword() function receives a memory address as a parameter, and it uses the vulnerability detailed in this post to read 4 bytes from the given memory address. In this case the address is 0xffff, in order to purposely hit unmapped memory and trigger an access violation exception, for demonstration purposes. The most interesting part here is the code of the Trigger class. 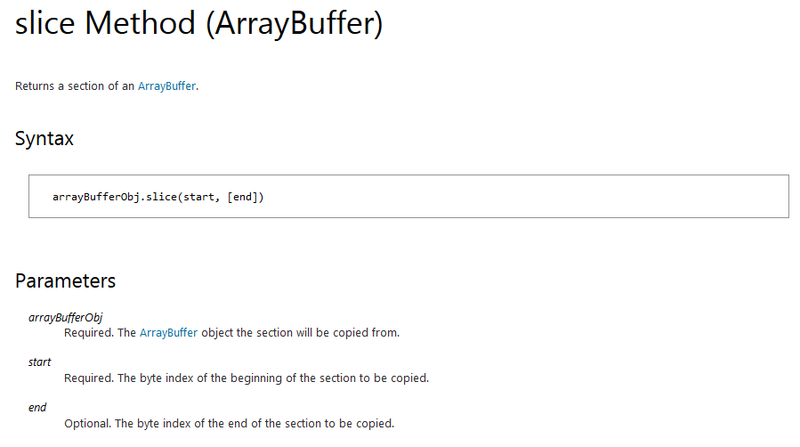 Its constructor receives the end offset for the slice, as well as an instance of an ArrayBuffer as parameters. This class also implements the valueOf() method, which, when called from the middle of the Js::ArrayBuffer::EntrySlice() native function, will neuter the ArrayBuffer by transferring its ownership to a new Web Worker, and finally return the end offset for the slice. Also note how the leak_dword() function calls the vulnerable slice() method with an instance of the Trigger class as the second parameter. var the_worker = null; // Will contain a reference to a Web Worker "thread". the_worker = null; // Allow the garbage collector to clean up the Web Worker object. If you run this PoC with the debugger attached to the browser process, you’ll see that IE crashes inside memcpy(), when trying to read data from our arbitrary address 0xffff: (84c.8ac): Access violation - code c0000005 (first chance) First chance exceptions are reported before any exception handling. This exception may be expected and handled. *** ERROR: Symbol file could not be found. Defaulted to export symbols for msvcrt.dll - msvcrt!memcpy+0x52: 7785b3f2 8b448efc mov eax,dword ptr [esi+ecx*4-4] ds:002b:0000ffff=??????? ?